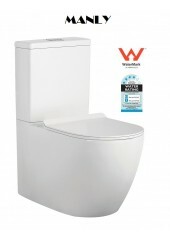 You simply can’t have a functional bathroom without a lavatory – it’s a simple fact of life. However, it can sometimes be hard to find a cistern that suits the design of your bathroom space, or even the aesthetic of your entire home. At Bright Renovation, we want to make it as easy as possible to solve this problem – which is why we offer a wide range of well-made, flush-to-wall and in wall cistern toilets in Melbourne. Many homeowners are unfamiliar with the concept of an in-wall cistern. 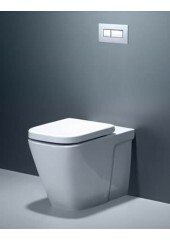 These lavatories can be described as consisting of a visible bowl, with the slimline cistern easily installed in the wall behind the main unit. These flush-to-wall toilets are an excellent choice for anyone working with less bathroom space than usual, for homeowners who are considering a more minimal style for their bathroom. Our range also includes full-tank, attached-cistern and cheap toilets. These have a more classic and recognisable design, and are constructed from hard-wearing and high-quality ceramic. This range of products come in a wide variety of base styles, sizes and designs. 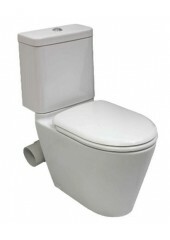 Browse our range of well manufactured yet cheap toilets and you’re sure to find a commode that perfectly suits your requirements.